If MuscleSound has determined that your device might be compatible by following these steps, you will be instructed to proceed to the following calibration routine. Find a Rectus Femoris muscle to scan. Needs to be a non depleted image (no post exercise). 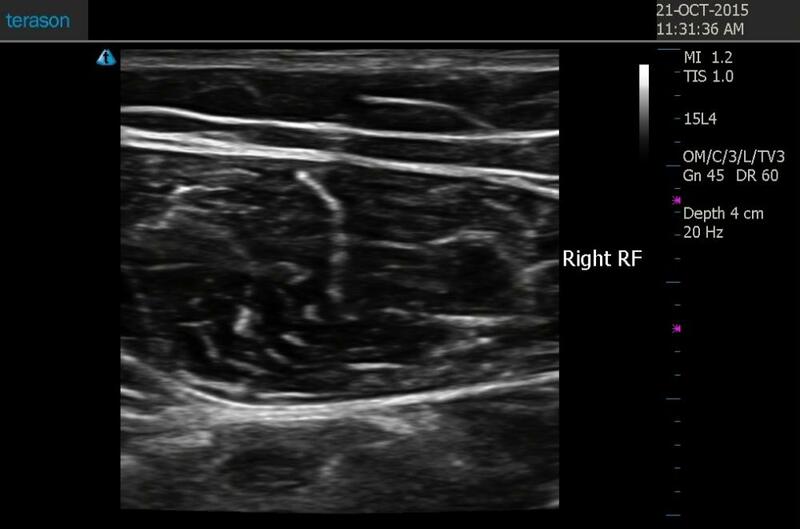 Change the secondary image settings on your ultrasound device so that they are set to the medium value. 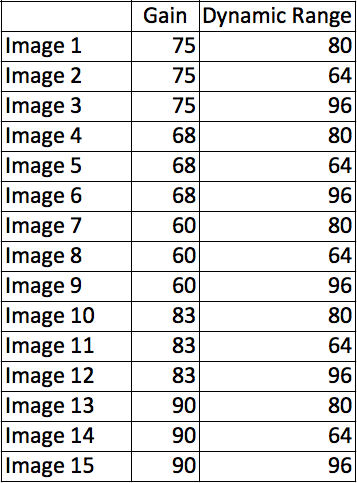 Use those settings as a starting point and then take the following images and export to your patient profile in MuscleSound. Do your best to take identical images. Attempt to leave probe unmoved on muscle while changing settings and storing images. MuscleSound will then analyze the images, and determine the ideal image settings for your device.